GREEN BAY — The somewhat surprise scratch of CB Damarious Randall (groin) from the Packers’ lineup will elevate everyone else who can play cornerback for Green Bay. The Packers are without their top two corners now in Sam Shields (concussion) and Randall, so second-year pros Quinten Rollins and LaDarius Gunter will be the starters. Yet to be determined is whether Micah Hyde or undrafted rookie Josh Hawkins will get the call as the nickel, with the other one coming in for the dime package. The nickel will most likely be Hyde based on experience, but Hawkins could still get a fair number of snaps because the Packers play their dime defense plenty. Another option in the dime would be to bring in an extra safety rather than a corner, but that might make it tough to match up if the Giants line up with four wide receivers. Hawkins will be looking to atone for a significant blunder in the Packers’ last game, vs. Detroit before the bye week. With Randall out of the game briefly due to illness, Hawkins was the first line of defense on a 73-yard TD pass to Marvin Jones Jr. that never should have been such a big play. It appeared Hawkins had a chance to shove Jones out of bounds after a roughly 20-yard reception, but he failed to do so, and then fellow undrafted rookie Kentrell Brice, playing safety, was late getting over to help and Jones went all the way. Those are the kinds of mistakes by young players the Packers can’t afford, especially against a veteran QB like Eli Manning and a deep receiving corps that includes Odell Beckham Jr., Victor Cruz, and Sterling Shepard. Around the NFC North: Regardless of tonight’s result, the Packers will remain in second place in the division, but to be determined is whether they’re one game or two behind the Vikings in the loss column. Minnesota improved to 5-0 with a victory over Houston earlier Sunday. Detroit improved to 2-3 by handing Philadelphia (3-1) its first loss of the season, and Chicago fell to 1-4 with a loss at Indianapolis. The Vikings are now the lone unbeaten team in the entire NFL after the Broncos fell to the Falcons late this afternoon. Weather update: It should be a nice fall evening for football at Lambeau Field. Temperatures are expected to be around 50 degrees at kickoff and falling into the high 40s as the game goes on. Skies are expected to be clear with minimal chance of rain and light winds. Been a long time: Home cooking has been good to the Packers in October. The last time Green Bay lost at home in the month of October was way back in 2010, an overtime defeat at the hands of the Miami Dolphins. This mark’s the Giants’ first trip to Lambeau Field since the 2011 NFC Divisional playoff, when New York scored an upset victory over a 15-1 Green Bay team. The last two Packers-Giants games, in 2012 and 2013 respectively, took place in New Jersey. Starting lineup changes: #24 Quinten Rollins will start at cornerback for Randall. #36 LaDarius Gunter will start at cornerback for Shields. #82 Richard Rodgers will start at tight end for Cook. As per team tradition, the Packers select game captains each week. 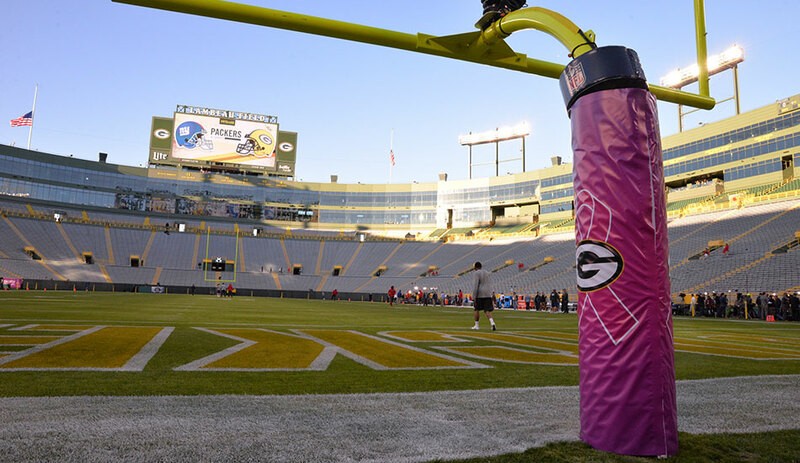 Tonight’s captains will be WR Jordy Nelson (offense), S Ha Ha Clinton-Dix (defense) and WR Jeff Janis (special teams). GREEN BAY — The Packers’ coordinators and defensive coaches addressed the media late Thursday afternoon. Here’s a synopsis of some of their key comments. Cornerbacks coach Joe Whitt Jr.
GREEN BAY — Aaron Rodgers remarked during his Wednesday news conference that one of the most endearing traits of Justin Perillo is that he catches everything thrown his way. Now, the third-year tight end could be on the receiving end of more opportunities in the Packers’ offense. Perillo figures to play a larger role as the No. 2 tight end going forward following the ankle injury Jared Cook sustained against Detroit before the bye week. A former undrafted free agent out of Maine, Perillo caught one pass for 13 yards on 17 offensive snaps against the Lions in the wake of Cook’s injury. The 6-foot-3, 250-pound tight end filled a similar void last season after Andrew Quarless was placed on temporary injured reserve with a knee injury sustained in a Week 3 win over Kansas City. While he caught 11 passes for 102 yards and a touchdown last season, Perillo’s value to the Packers runs across the board. “Clearly in his flexibility to play all the different positions and you have to take it even further on special teams,” said Head Coach Mike McCarthy on Thursday morning. The Packers plan to stick with third-year tight end Richard Rodgers and Perillo as their primary tight ends until Cook returns. McCarthy said he spoke on Thursday morning with cornerback Sam Shields, who continues to make progress in the concussion protocol, but won’t play Sunday night against the New York Giants. All four defensive players – Clay Matthews, Morgan Burnett, Letroy Guion and Datone Jones – who practiced with the team inside the Don Hutson Center on Wednesday continue to make progress. Barring weather, the Packers plan to conduct Thursday’s padded practice outside. GREEN BAY — The Giants will bring three productive receivers and an accomplished, durable quarterback to Lambeau Field on Sunday night, and that’s what the Packers are focused on, not all the news about personalities and emotions coming from New York. The trio of Odell Beckham Jr., Victor Cruz and rookie Sterling Shepard was off to a strong start for QB Eli Manning before the Giants ran into Minnesota’s defense on Monday night. Beckham is the one in the headlines for his emotional outbursts during, and in some cases after, games when things don’t go well. With former Packers assistant coach Ben McAdoo now the head coach in New York, McCarthy said there are some offensive concepts that have carried over. The work the Packers’ defense, particularly the secondary, gets in training camp every year could be a help there. Green Bay’s defensive backs are looking to recover from a couple of rough weeks of allowing big plays. Veteran safety Morgan Burnett could be back in action this week after missing the last game. There was no update from McCarthy on CB Sam Shields (concussion). Second-year corners Damarious Randall, Quinten Rollins and LaDarius Gunter likely will be in the spotlight on Sunday night. Regarding TE Jared Cook’s ankle injury, McCarthy said as of now there are no plans to add another tight end to the active roster, so the Packers will be going forward with Richard Rodgers and Justin Perillo for now. GREEN BAY — Head Coach Mike McCarthy did not declare his team fully healthy following its bye week, but four defensive regulars who missed the last game vs. Detroit were expected to get back to work in some capacity during Monday’s practice. LB Clay Matthews (ankle/hamstring), DE Datone Jones (knee), S Morgan Burnett (groin) and DT Letroy Guion (knee) all are in the early stages of assessing where they are in their recoveries as Sunday night’s home game vs. the Giants approaches. One player still sitting out is CB Sam Shields (concussion), who is “improving” but has not been cleared to return to practice. Shields is working through his second concussion in a nine-month span after missing four games late last season with one. Shields’ latest concussion occurred in Week 1 at Jacksonville and he hasn’t practiced or played since. As usual after a bye week, Monday’s practice would be focused on fundamental drills and some competitive work. McCarthy said the coaching staff did an extensive individual review of each player’s practice and game film, and the evaluations were presented to the players when they returned Monday morning. “We’re taking the approach today of self-improvement,” McCarthy said. “We want each player to have some substance from the evaluations.